Hello there Altenew followers. 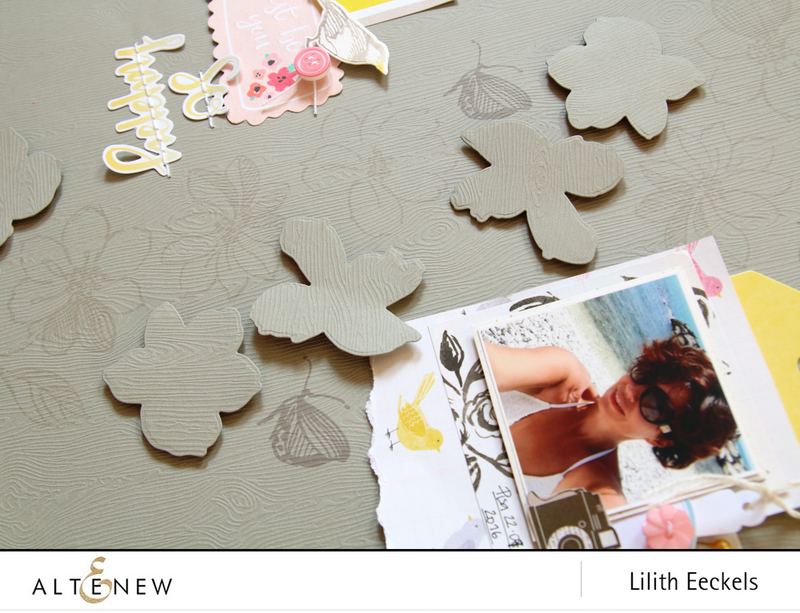 Today I’ll sharing a new video and layout with you. 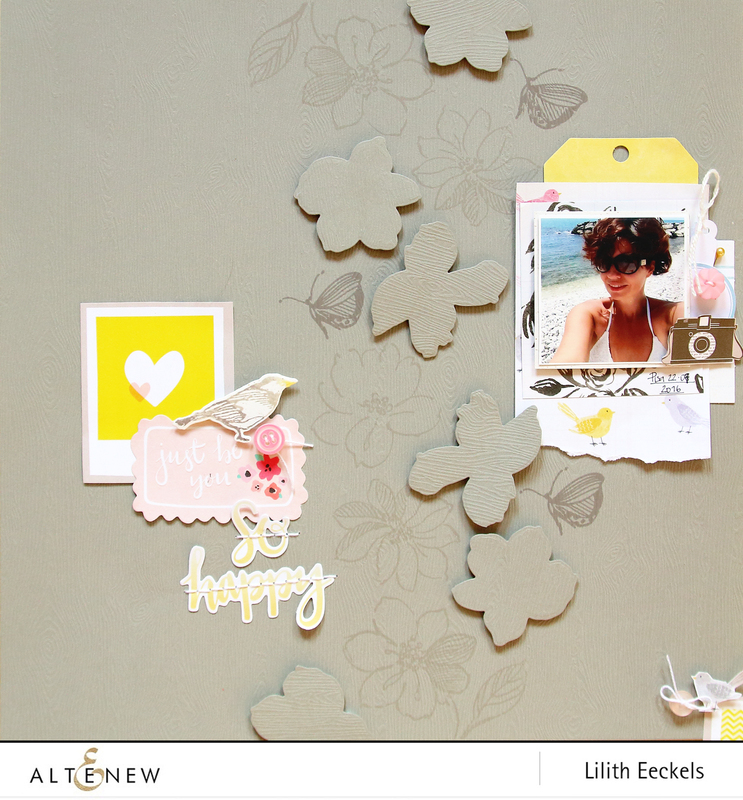 I wanted to use some grey woodgrain cardstock that I had laying around and was inspired to work with the colour of the paper and create a tone on tone effect using some grey inks and the Wild Hibiscus Stamp and die set. You can buy both together as a set in the Altenew shop too. I used Evening Grey, Moon Rock and Lava Rock inks. I thought the lighter Evening Grey would show slightly when stamped but once it had dried you hardly can see the image. Instead of starting all over (I had already messed up one piece of cardstock and didn’t have a third one), I just worked with that and added the die cuts as such. I would advise you to test your inks before and let them dry. You can see the full HD video on youtube or just watch below. 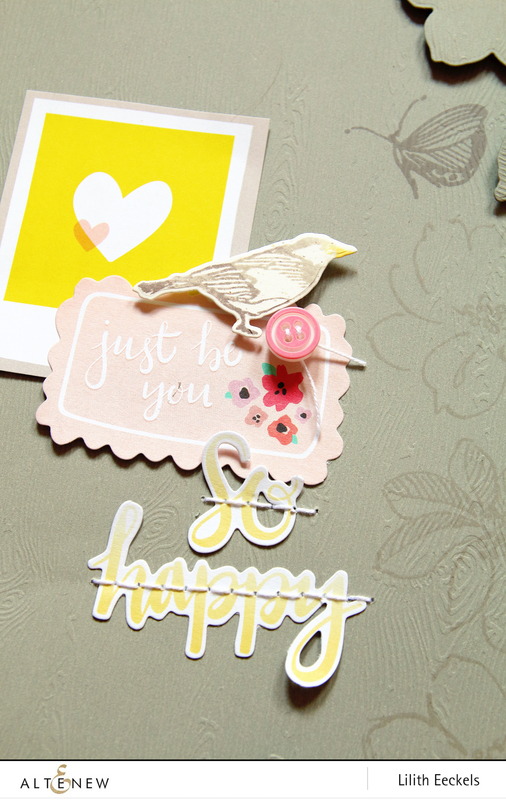 I love the airy feel the die cuts give the layout and it creates motion and dimension. To get a crisp image I placed a mat beneath the paper when I stamped and this really help when working on textured cardstock. Thanks so much. I wish I could make cards. It is so hard. Would love to see what you make.